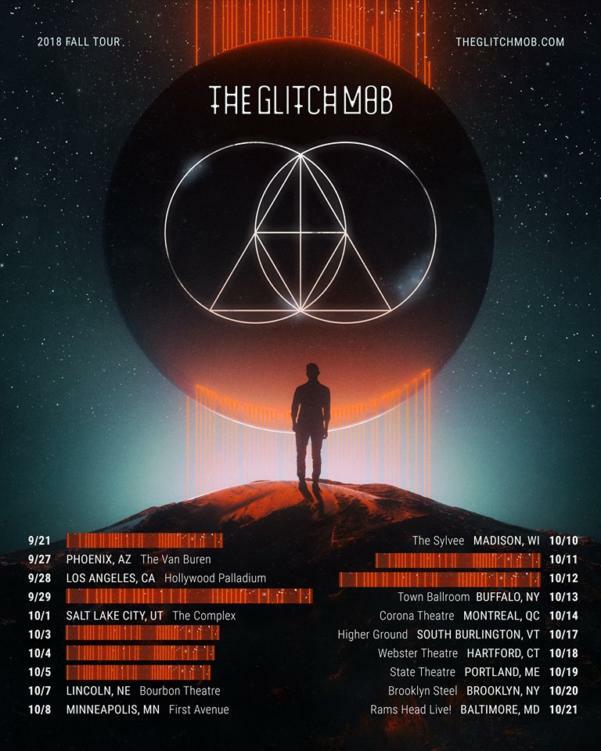 The Glitch Mob are in the middle of an epic 40+ show tour. Their latest album, See Without Eyes, debuted at #1 on the Billboard Electronic charts. An immersive listening experience, See Without Eyes is the third full-length installment of the trio’s epic career. 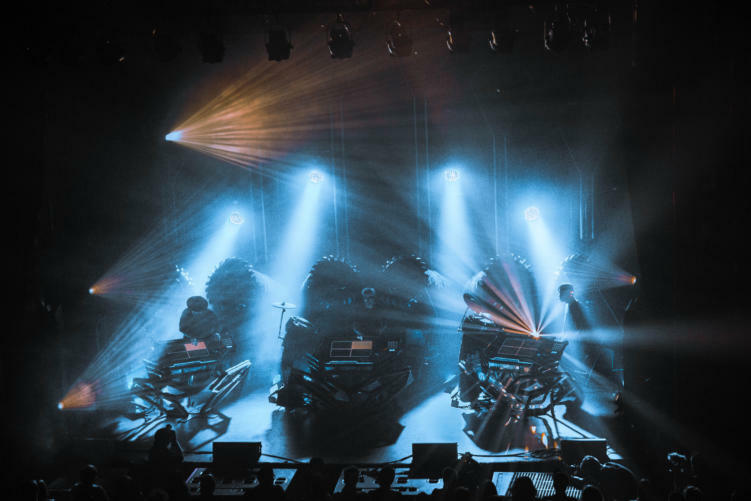 River Beats was able to sit and chat with Ed, Justin and Josh of the Glitch Mob before their New Orleans performance last week. It’s been four years since your last album release. What creative evolution brought you from your last album, Love Death Immortality, into See Without Eyes? “See Without Eyes is overall a more balanced listening experience. We have tracks that still have the epic-ness of Love Death Immortality, but we went back to the storytelling nature of Drink the Sea. So what story are you trying to tell with See Without Eyes? “We’re always big on letting the listener determine what the music means to them. The music is the soundtrack to your own story, whatever that means to you. You’ve mentioned your process of producing for headphones first, then bringing that sound to the stage. Especially with the amount of live production you are doing on tour, what does that translation process in your tracks look like? “We try to keep both elements in all the tracks no matter what. But everything we write goes through the headphone test. We see if it’s enjoyable and sounds good through multiple different types of headphones and formats. From phone speakers to cars – we want to make sure it’s translating. But we never single anything out as a “dance floor” song or a “listening” song. We try to make sure that story translates no matter where you are or what you’re listening through. We want to make it available for some kind of emotional experience. In your live performance, you’ve recently upgraded the Blade system to the “Blade 2.0.” What sort of upgrades are we talking? “There are a lot of new guts in the Blade. More behind the scenes we’re working with Dell computers this time – with all their software and touchscreens – so that’s been new for us. It’s really just the latest interpretation of 1.0, with an overall new aesthetic, drums and lighting style. We decided not to go with the LED panels most electronic artists use this time around, just to try something different. And you guys were pioneers in that aspect of your performances. “There is a long line of live electronic stuff, but it used to be called a live PA. The Chemical Brothers would play- two guys up there with all the electronics – but you couldn’t really tell what they were doing. What we brought to the table was the way that we tilt out instruments, and we’re certainly some of the first people to perform strictly on touchscreens. Taking that connection to an entirely new level: we’ve heard rumors of the Glitch Mob using virtual reality? Ya that’s coming out later this month. There’s going to be a virtual reality experience for the album where you can get inside of the music and go through a whole world that’s been created by Strangeloop Studios. The videos will be out later this month, but we’re still looking for events where people can come out and set it up for us. We really want people to be able to experience the ethos of this VR performance. It’s pretty psychedelic. 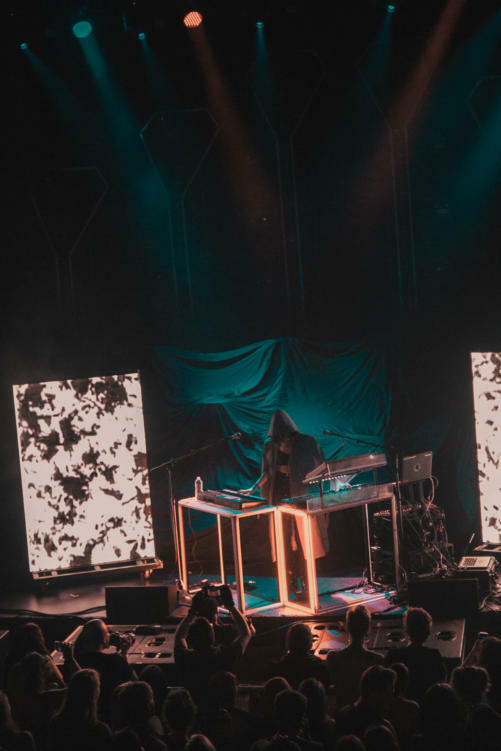 You’re now touring with ELOHIM, who’s featured on the latest single from the album. How did the other vocal collaborations on your album come to be? “We’re also working with these amazing artists and singers Ambré and Tula, as well as Rituals of Mine who we collaborated with on the last record as well. Our vocal collabs always happen very organically. It’s never strategized to try to create hype or anything. That’s not traditionally how we’ve done things. What about your production collaborations? I know you guys have worked with Bassnectar before, and a new Rezz remix of your single just came out. How do those come about? “Bassnectar has always been a bud of ours. He’s best friends with Boreta. They actually went to college together. So, we’ve known Lorin for ages. That collab happened because we had a tune from our last EP that didn’t make it to the newer one. Piece of the Indestructible was originally five songs, but it was released as three. The two we had left over we gave to Lorin, and that became the Bassnectar / Glitch Mob remix. What about some of your guys’ non-electronic musical influences? “It’s hard to say specifically on the Glitch Mob records what influences u, because we all listen to different things. When you listen to a bunch of music you kind of bring it to the table without knowing a pinpoint for it. And as independent artists, you don’t have that major label pressure to whip out an album every year. So you can really take your time and perfect that sound. “Yeah, because to really write this music there’s so much that goes into it. To do the mixing, mastering and creating that arc, it takes us about a year and a half. It is cool to take the time that we need. We like writing albums. And through that you guys have razor sharpened your identity and sound as a collective. 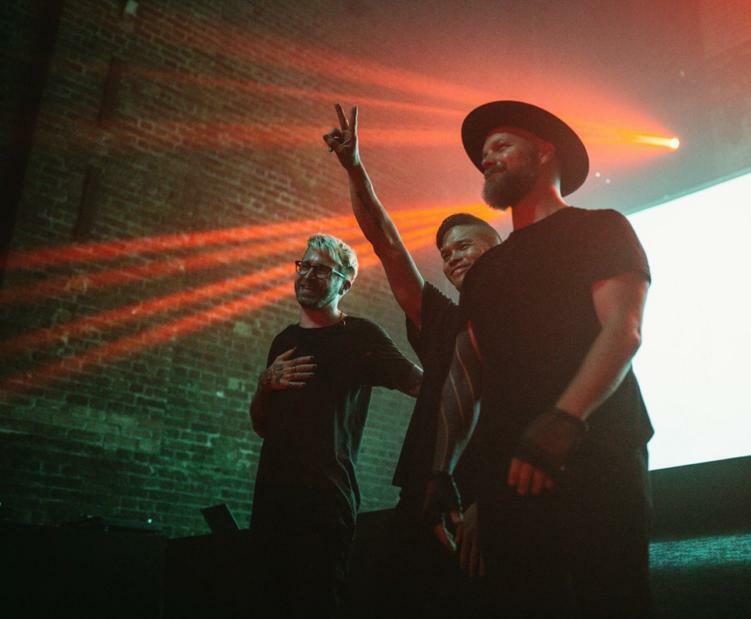 Check out the Glitch Mob’s See Without Eyes tour dates here. Article images via Kelsey James.